We live in a world where we are labeled according to our looks and race and this stereotypical thinking has been taking place in many forms, from the national television to someone’s everyday life. This problem has been mostly happening to Muslims. A Muslim is a follower of a monotheistic religion called Islam- in other words “Peace”. Both words, Muslim and Islam come from the same 3 letter roof of S,L and M in Arabic. In fact, Islam did begin by the Arab speaking population, this is why our Holy book, the Quran was written in Arabic. Quran is said to be one of the most complete religious books, and personally when I first read the Holy book, I realized how rhythmical it is. However, there seems to be the another side of the story. Orientalism began, when the Western Scholars began to interpose their thinking of the “Middle East” or the “Far East” according to their perspective without understanding the concept of Surrendering to the only God and sacrificing yourself for him and your country- Jihad. This issue has always been a main concern to many Muslims around the world. They have been bordered and zoned out from most of the facilities in which any free person can enjoy in their lives. We were all created from the same ground, and we should be able to walk on this ground freely without being labeled. Unfortunately, this misunderstanding of Muslims being terrorists has began by the 9-11 issue in the United States, followed by other attempts to take us away from our lands due to misunderstandings. 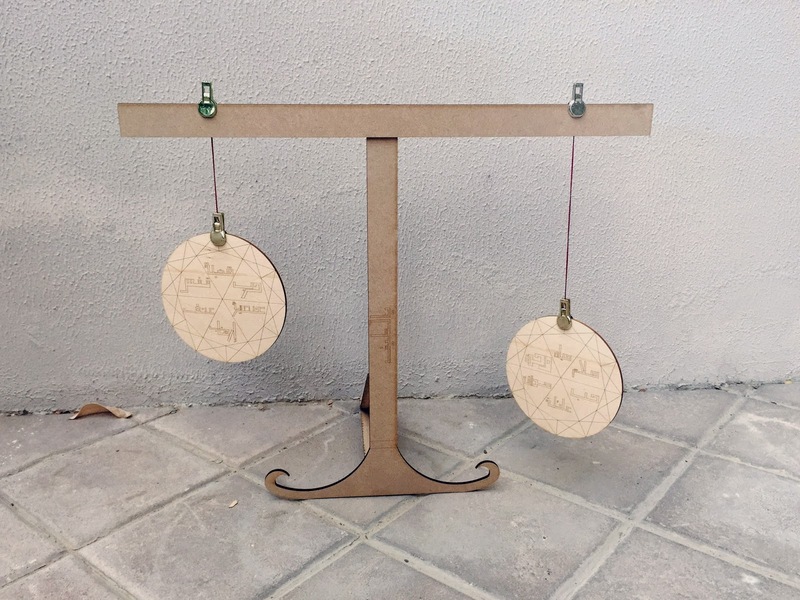 Using the Zodiac sign of “Libra”, the balance of mood swings, in this case, ideas, was the main concept behind this project. The purpose of this art piece is to show the true meaning of Islam, using an equalizer- The balancing element in life. According to Taoism, the Equalizer displays the main balance between heaven and hell and only a single sin can destroy the balance of this world. The Equalizer is made form 5 different components. 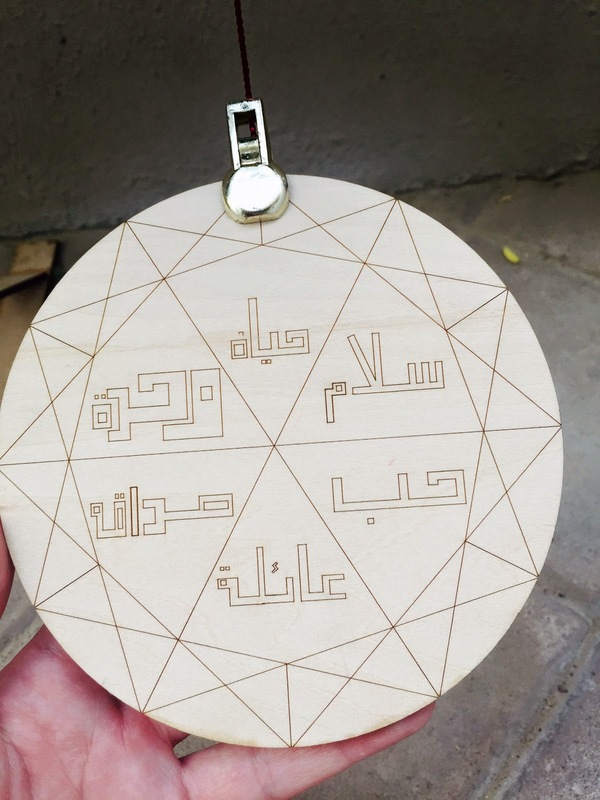 The Base, which holds the rest of the project to one another, acting as the human, with “Ya Latif” engraved on it. The Expression “Ya Latif” is said in Iran as a reminder of “God” or another way of saying “ Ya Allah” meaning I will start every move I make I am reminded of God. Moving towards the lower part of the base, it contains a simple yet important aspect, of a semi-circled curve, explaining the cycle of life, where according to Zen religion, life is a circle divided into two parts. One semi-circle in the Earth life we are living right now, and the other in the after life. The second part is the basic shoulder element. According to the stories I have been told as a child, every human has two angels. One on the right shoulder and the other on the left. The right angel will write our good deeds while the left one will write our bad deeds. Moving towards the two circles, our good and bad deeds or in the other words, the portraying of the right and biased Islam. This project consists of two main circles, including an 8 petalled flower. The two sections are divided into the True Face of Islam, which is about friendship, equal rights, understanding women, respecting our elderlies and etc. and the other part about the Wrong image of Islam, the Terrorists, Bombing and Isis. Number 8 is a holy number in Islam, which resembles the beauty of a Garden especially in the Persian culture. 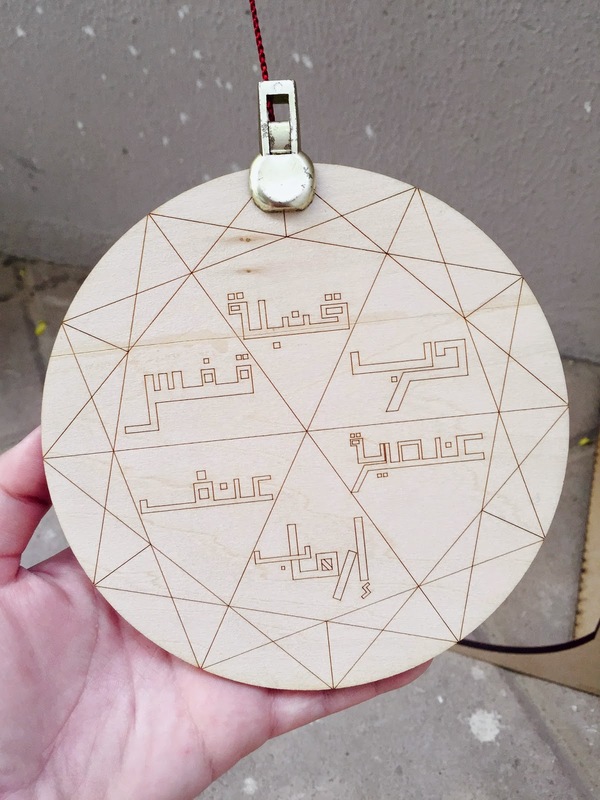 Within this 8 petalled flower, there are 6 Arabic words calligraphied and engraved using Autocad and the Laser Cutting machine provided by the university. These words are summarized by, family, unity, love, friendship, honesty and peace representing the true vision and image of Islam. While the left circle is a counter-argument using words such as war, bombarding, racism, terrorism, violence and being caged. 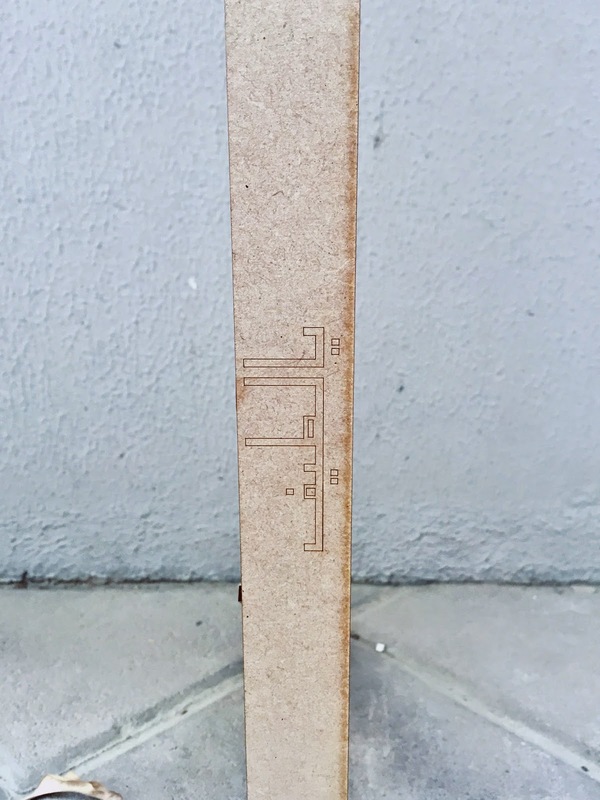 Since the chosen material is Bass wood, the project will not be stable enough to be standing on a single wooden cane, therefore using the Golden Triangle rule, a base is produced to hold the art piece to one another. The circle, which consists of the True face of Islam, will have a lower landing level compared to the misunderstood part of Islam, due to the amount of moral values we have in this religion. According to an Iranian quote, “Something which is humble, will have a heavier weight because of the amount of values it is given by the people” and this is what Islam is, a valuable religion for all. Diba Mohebzadeh is an Iranian Architecture student in the American University in Dubai.